This long trail that begins in Cook County and stretches across Lake County offers a wide variety of options for cyclists nearly all the way to the Wisconsin border. 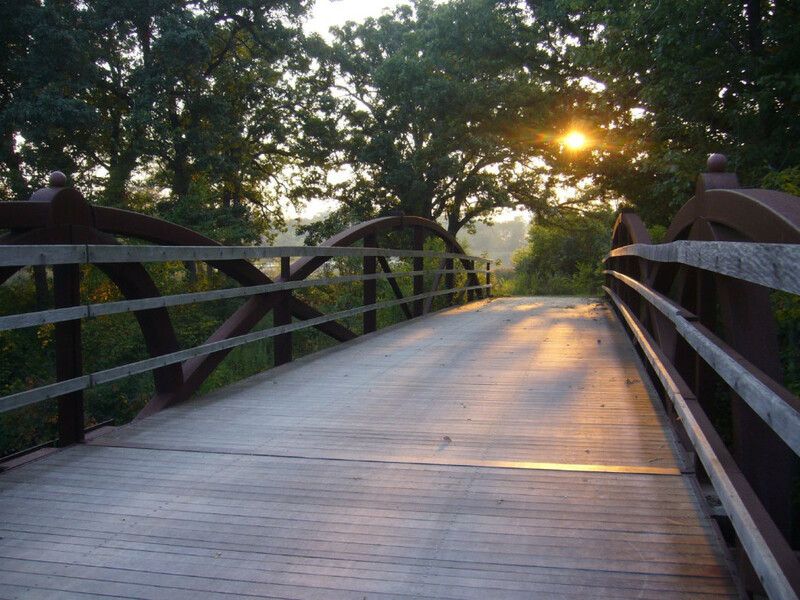 The Des Plaines River trail encompasses a lot of space, serving as one of the longest trails in the Chicago area. There are some gaps in the system, but if you’re willing to take some surface roads, the trail will take you from River Grove in the near western suburbs all the way to the Wisconsin border. But you don’t have to ride that far. 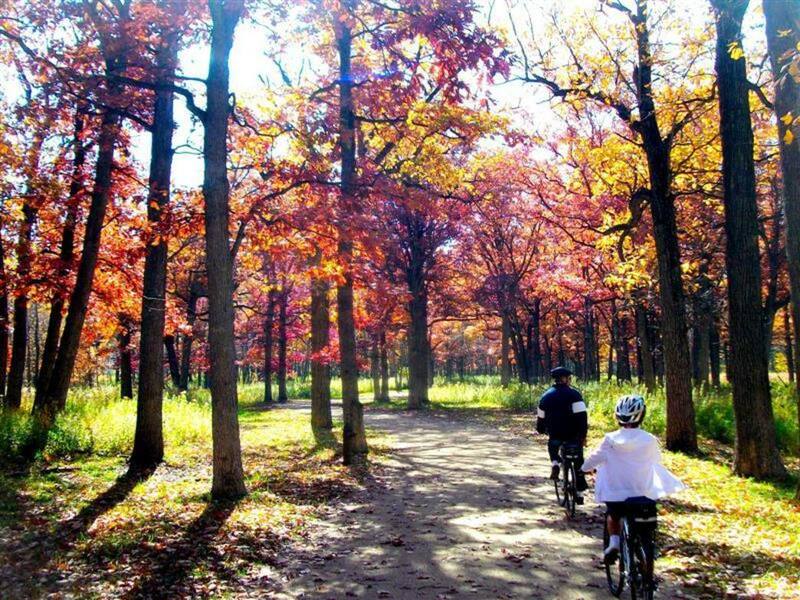 Thankfully there are plenty of options for shorter rides that take advantage of the trails that go through both Cook County and Lake County, and are maintained by their respective forest preserves. For the most part, you’re going to find a crushed limestone, multi-use path through most of the system. Cook County Trails We’ll start the trail at the southern end, closest to Chicago in River Grove. 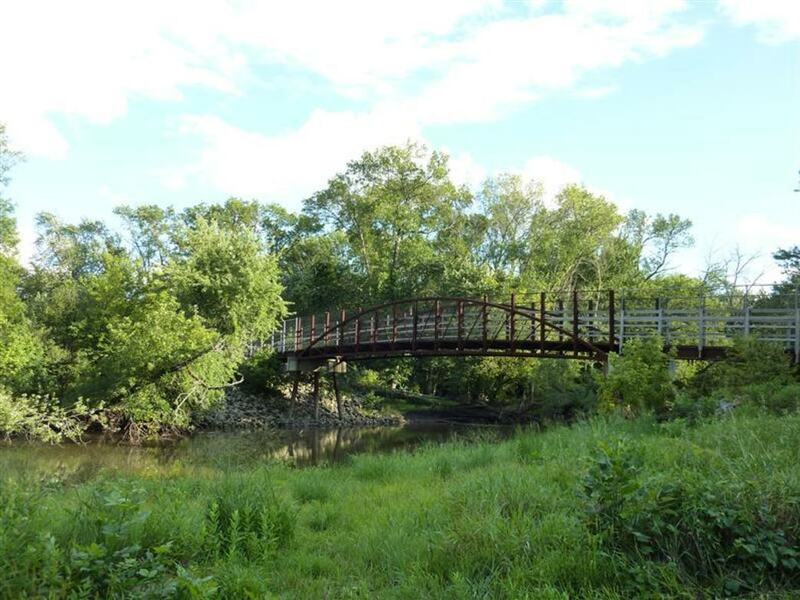 As the name suggests, it follows the path of the Des Plaines River, taking full advantage of the many forest preserves along the route. The trailhead is at North Avenue, just east of Route 171, in the Jerome Huppert Woods. From there you’ll go north through the Fullerton Woods, La Framboise Reserve, Schiller Woods South, Schiller Woods South and Catherine Chevalier Woods, which is east of the river (and I-294) of O’Hare Airport. At each of these forest preserves, you can hop off the main river trail for additional mileage. Just south of I-90, the trail leaves the woods to run alongside East River Road for about three-quarters of a mile to go underneath the expressway. But there it enters Dam No. 4. South Woods, and meanders back to the river. It continues to follow a string of forest preserves heading north, including the Iroquois Woods just north of Touhy Avenue and the Algonquin Woods, before finally reaching Algonquin Road in Des Plaines, where you have to make another short trip on Campground Road to join the path again near downtown Des Plaines (it’s well marked). The remainder of the trail sticks mainly to the forest preserves, hitting Northwestern Woods, Big Bend Lake, Beck Lake, Camp Pine Woods, Allison Woods, Dam No. 1 Woods and finally Potawatomi Woods, which takes you all the way to Lake Cook Road and the entrance to Lake County. That’s a total of 17 miles in Cook County, with plenty of restrooms and water stops along the route. Use Cook County Forest Preserve maps of the south and north sections of the trail to plan your trip. Lake County Trails The Lake County section of the trail is also divided into two parts. Just across Lake Cook Road, you’ll enter the southern section of the lake county trails in the Cahokla Flatwoods. From there you’ll go through the Ryerson Conservation Area, Half Day Woods, MacArthur Woods, the Old School Forest Preserve and the Wilmot Woods. While there are plenty of wooded sections through these forest preserves, this section of the trail does contain more connecting roads than in Cook County. The north section of the Lake County trail is much more scenic and sticks primarily to the forest preserves. You’ll hit Independence Grove, Sedge Meadow, Wadsworth Savanna and Van Patten Woods before finally ending within spitting distance of the Wisconsin border. The full map of the Lake County section of the trail is here. It’s the go-to spot for riding for anyone within close proximity of the trail. For visitors from the city, check out the southern section of the Cook County trail for some nice cycling options off the trail. And in the northern suburbs, check out the northernmost part of the trail and take a trip to Wisconsin. Parking is ample at any of the forest preserves along the route. Cook County and Lake County forest preserve rules apply. Lake County preserves are open 6:30 a.m. to sunset; Cook County preserves are open sunrise to sunset.